It was written by LadyAries on December 2nd, 2014. I am using the beautiful PTU kit "Ellen's Xmas" by Devilish Dezines. Frame4 resize 74 percent, copy & paste to the center of your tag. Element32 resize 64 percent, copy & paste to the left side of your tag. Element14 resize 34 percent-flip, copy & paste to the right side of your tag. Duplicate & mirror. Element43 resize 26 percent, copy & paste to the left side of your tag. Duplicate & mirror. Element2 resize 30 percent, copy & paste to the left side of your tag. Duplicate & mirror. Element35 resize 22 percent, copy & paste to the top left side of your tag. Duplicate & mirror. Element15 resize 22 percent, copy & paste to the left side of your tag. Duplicate & mirror. Element17 resize 24 percent, copy & paste to the bottom center of your tag. Resize tube to your liking, I am using the close up version of this tube. Now copy & paste under your frame layer in your layers palette. Use your eraser tool to remove any excess parts of your tube that may be showing. Duplicate your tube and then in the layers palette bright it up above your frame. 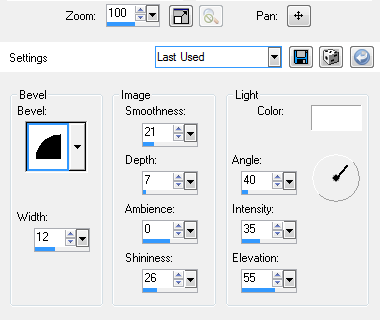 Open new raster layer and send to the bottom, copy & paste paper5 and apply your mask. Duplicate & flip.